A piece of Goa in Pune - Cafe Goa - CHOMP! SLURRP! BURP! 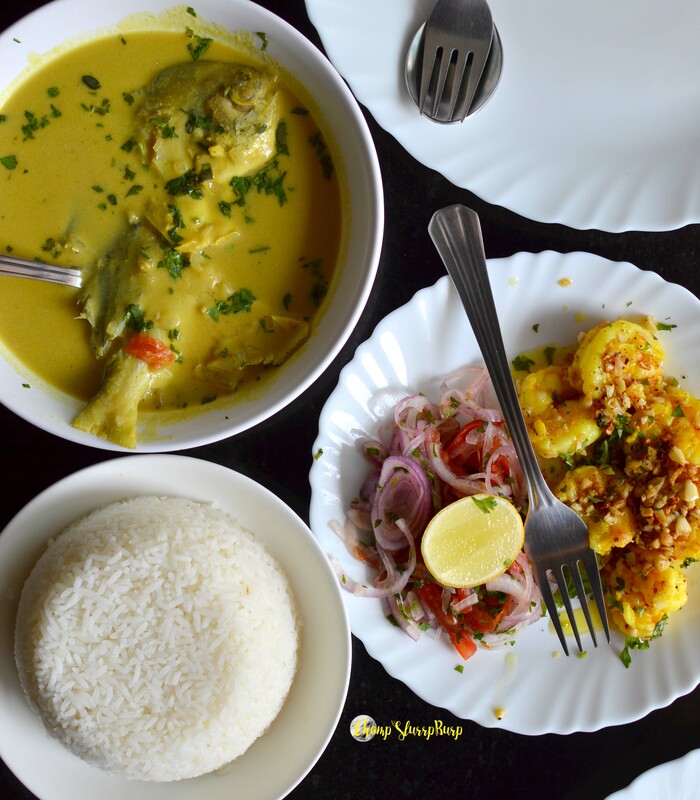 I would start by saying this is the place you have to be if you have had tonnes of canceled Goa plans – this shack would take you through a meticulous journey of authentic Goan cuisine. But well, I haven’t had cancelled Goa plans – my trip to Pune was my first solo trip and I intend to keep the streak up. We have a Goa in Delhi where they have recreated a shack and you get fancy cocktails with sand under your feet, literally. Cafe Goa is a small shack in Viman Nagar and undoubtedly serves the best Goan food I have ever tasted. This shack with an open kitchen emitting intoxicating curry and coconut aromas fills up within five minutes of opening for lunch. Butter Garlic Prawns – freshest jumbo prawns, wok tossed in butter and whole garlic juliennes topped with freshly chopped coriander. Super fresh and simple, the buttery prawns were absolutely heavenly. 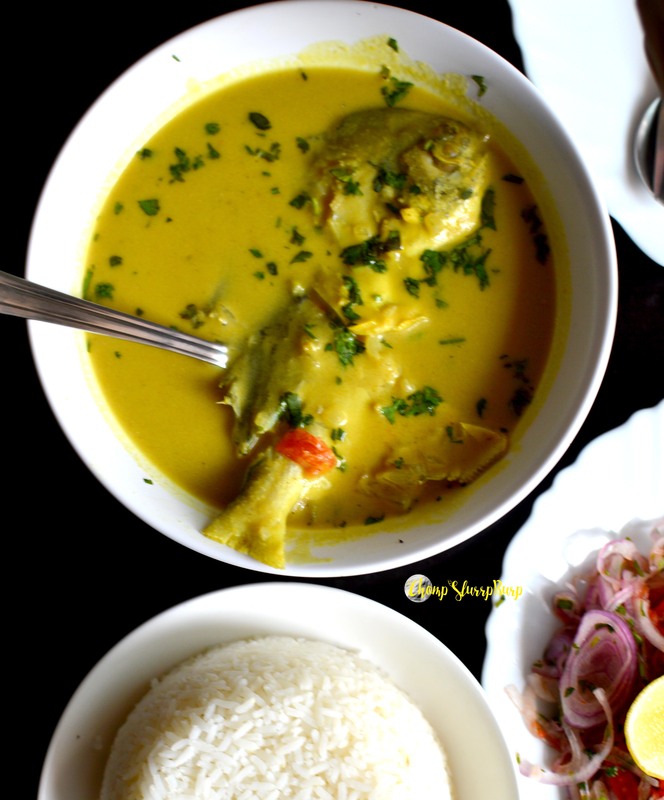 Pomfret in Caldin curry with steamed rice – a fresh pomfret, cut in half and cooked in a thick coconut curry with slight hints of sourness from tomatoes and a creamy curry that made for a happy and satiating meal. If you are visiting Pune, this place is a MUST, MUST visit. 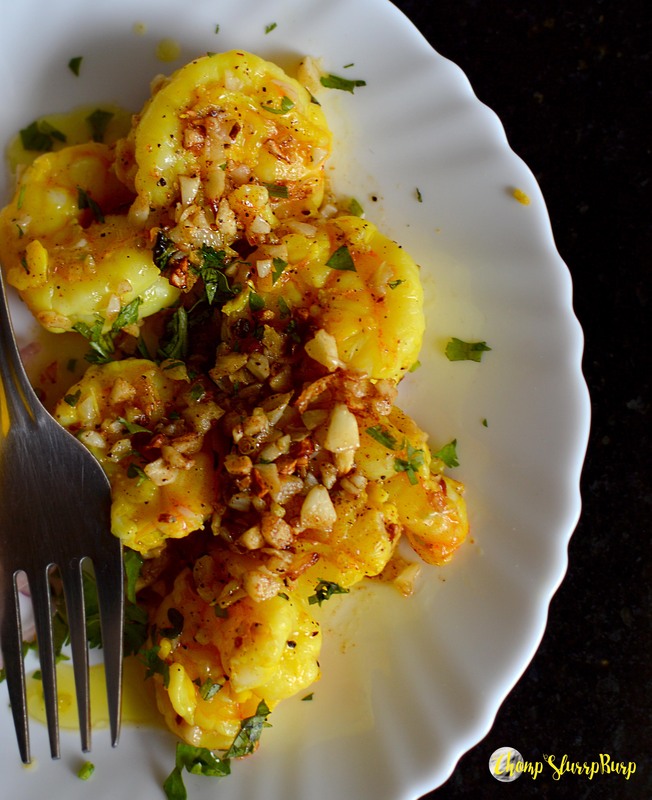 You simple cannot miss out on the amazing Goan offerings they have here.